Teen Camp​ brings dozens of teenagers from across the Midwest together for a time of competition, camaraderie, and Christian growth. Often, it is common to see over one-hundred campers attend during this week. This week is open to those that have completed sixth grade through those that have just graduated high school. The goal of Teen Camp is simple: to remove the distractions from the lives of youth so that they may open their hearts to God. Many decisions have been made in the quietness and peace of our campground. Every day has "God & I Time," where each camper and counselor reads over a key passage of Scripture and works through its meaning for them. Services are held by both the camp staff and the keynote speaker. In spite of our spiritual emphasis, there is plenty of time for fun. The opportunities for healthy physical enjoyment are beyond belief, from Ultimate Frisbee to our very own Battle at the Spring. Campers are sure to leave each year with many new friends made and enough stories to tell for a whole year. Junior Camp is often overshadowed by Teen Camp or exciting youth group activities. At Living Springs Camp, we understand that it is essential to nurture the younger children so that they are strong in their faith by the time they reach adolescence. Junior Camp has been held for decades. this week is often the first experience of camp that these children receive. By Friday, they are begging for more and waiting for next year. The same schedule of services from Teen Camp is maintained this week, with "God & I Time," and two services held each day. Games and activities change due to the younger age group. Slip 'n' Slide Kickball is a favorite during this time, as well as our waterslide and human foosball. We would be honored for your church to send your juniors down for a fantastic week with us! Day Camp ​operates as a ministry to the parents and children of Jefferson County and surrounding areas. We welcome all boys and girls who desire to attend. 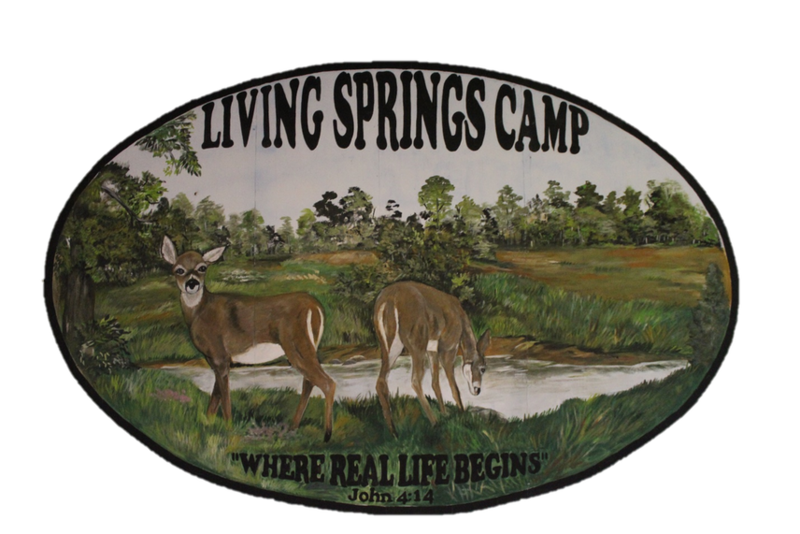 Children aged six through eight are transported to Living Springs Camp for three exciting days of games, crafts, and Bible teaching. A special speaker works with the group throughout the camp, teaching Bible lessons, helping the campers memorize Scripture, and performing skits. The campers are dropped off at Second Baptist Church at 8:00 each morning and picked up at noon. Our trained and caring volunteers work to ensure both safety and smiles for each boy and girl that attends. ​​Survival Training Camp is our newest offering at Living Springs Camp. The purpose of this week is to develop essential skills in the lives of young people aged thirteen through nineteen that would enable them to survive in harsh or primitive conditions. Each day focuses on a primary lesson, with other training sessions included throughout the camp. Activities include land navigation, fire preparation, firearms training, archery, camp setup, fishing techniques, outdoor cooking, and more. Professionals in each area are on hand to demonstrate proper procedures and ensure safety among the participants. Of course, no week at Living Springs Camp would be complete without enhancing one's Christian walk. Half an hour of devotional time at sunup and lessons given each night provide the spiritual substance that makes a godly man.